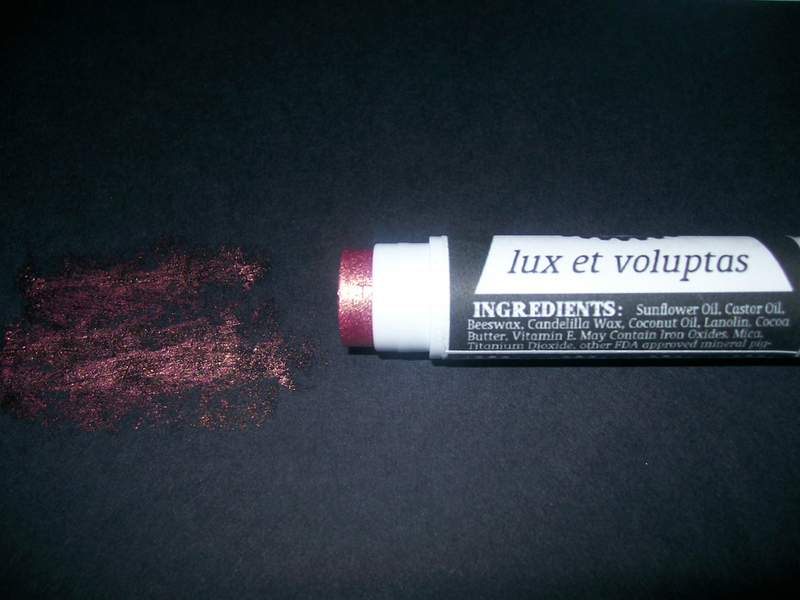 Lux et Voluptas is a two-toned lipstick. 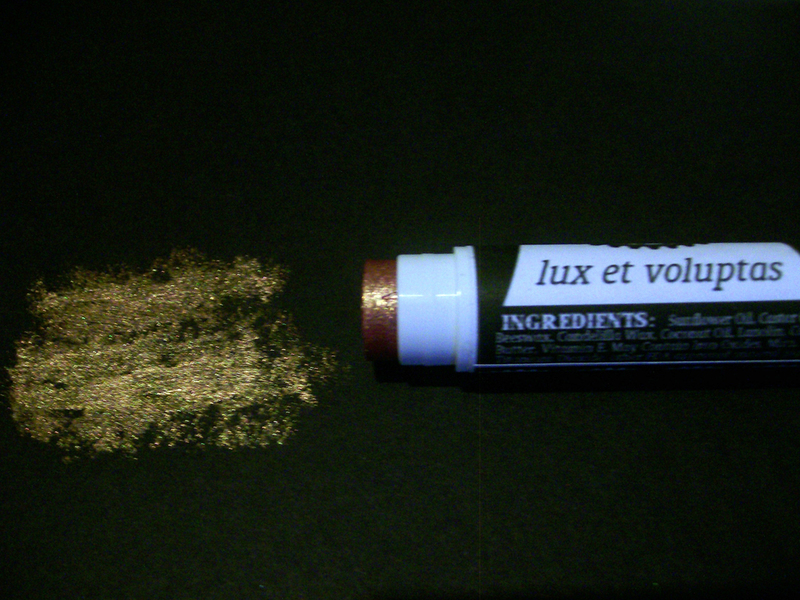 It has a top layer of metallic gold backed by a charming carmine-based pink. 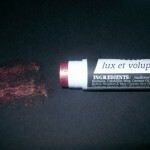 It is somewhat more translucent, light and sparkly than most of our other colors, which works well for those who prefer more subtle lip wear than we usually offer. And, yes, this is a personal tribute to the restrained decadence of the 1990s, to Hakim Bey, and to this year's long awaited spring season in Portland. 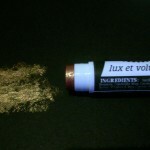 Look forward to the launch of our new autumnal color -- 'Nox et Veritas'!! !